This is the debut offering from a Portuguese four-piece described in their publicity material as an alternative prog rock band with a Gothic twist and is one of the most mystifying albums I’ve heard for a long time. It appears to be the result of someone at the pressing plant getting his job cards mixed up and combining a couple of EP’s by two completely different acts with shuffle mode selected. The opening track kicks off proceedings encouragingly enough. It’s a short spacey instrumental with more than a hint of Tangerine Dream and some Floydian guitar. We are then introduced to vocalist Ana Batista who turns out to be very much the star of the show throughout the whole album, staying firmly front and centre in the mix with the other three musicians playing supporting roles. She has an excellent mellow mezzo-soprano voice without a hint of an accent, which easily stands comparison with highly-rated established prog front-women such as Anneke van Giersbergen (ex The Gathering) or Sharon den Adel (Within Temptation). Track two begins with storm sound effects and the tolling of a church bell leading into prog-metal guitar riffing and an atmospheric vocal which rises and falls gracefully with some Hammer House of Horror spoken word backing to add to the overall cinematic feel. The third and fourth tracks continue in a similar vein with more bells, Therion-style Latin chanting and distorted Arabic spoken word thrown into the mix. So far so good. 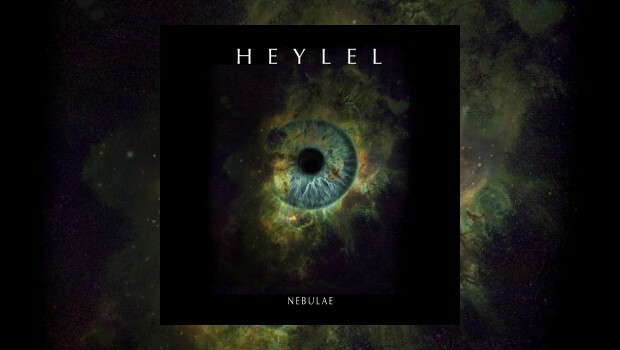 Heylel have managed to put their own spin on the prog metal genre, with some very original and effective little touches, accomplished musicianship and terrific vocals. The next track then introduces a sudden change of pace and style. It’s a cover of Emerson, Lake & Palmer’s The Sage done in a contemporary folk style with just voice and classical guitar backing, which is pleasant enough but a bit incongruous after the opening tracks. However the pressing plant mix-up starts to become very obvious as track six lands us firmly in Eva Cassidy easy-listening territory as Ana croons ‘you’re so beautiful’ over shimmering strings and whispered male vocal interventions. She has even adopted an American accent. More of the same for track seven before we get a cover of King Crimson’s I Talk To The Wind which would not seem out of place on a James Last album! The band which produced the first four tracks makes a brief reappearance for one song before the penultimate track which is pure unadulterated Americana a la Alison Krauss. A deep didgeridoo drone introduces the finale, the soundtrack to a Christopher Lee gothic B-movie complete with monastic chanting, distorted guitar, more tolling bells and a spacey female choir! Go figure! In the past I’ve been ambivalent about the changing way in which downloadable music is being offered to and bought (or pirated) by today’s music fans i.e. the ability to pick and choose individual tracks rather than a complete album. Generally I’ve stuck to my old-school ways and considered that if an artist has put together an albums worth of tracks then it should be considered as a single piece of work and listened to accordingly. This album however presents a very strong case for the pick-and-choose approach. The first four and final tracks on ‘Nebulae’ constitute a very interesting and enjoyable EP from a band showing considerable promise for the future. The juxtaposition of the remaining songs is, as far as I’m concerned, just plain bizarre! Assuming that there will be a follow-up to this release it will be very interesting to see what route Heylel decide to take. Hopefully it’ll not be a pick-n-mix selection.